Now, from the System tab view, navigate to the Storage page. At the right side panel, scroll down to Storage Sense and click on the link labeled Change how we free up space. 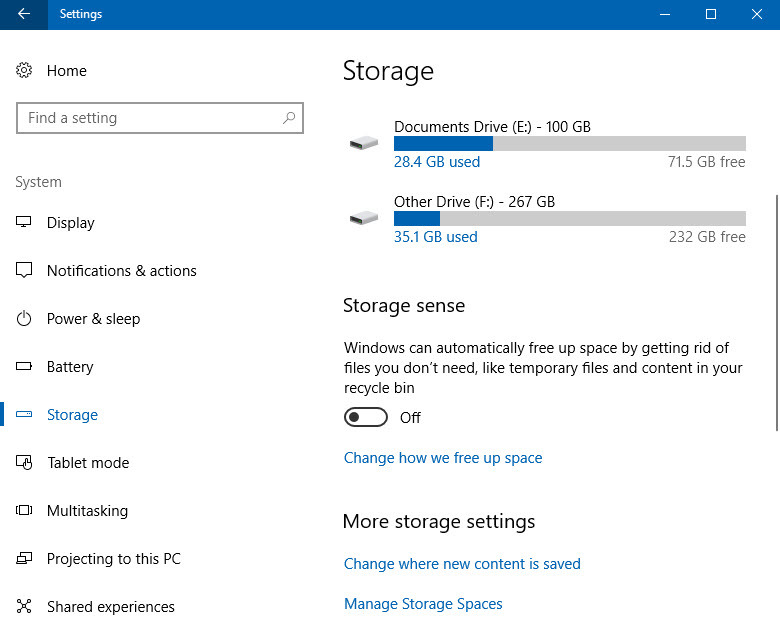 From this page, you can also ask Windows to automatically free up space by getting rid of the files that you don't need. This includes temporary files and the files in the recycle bin. To enable it, toggle ON the switch. 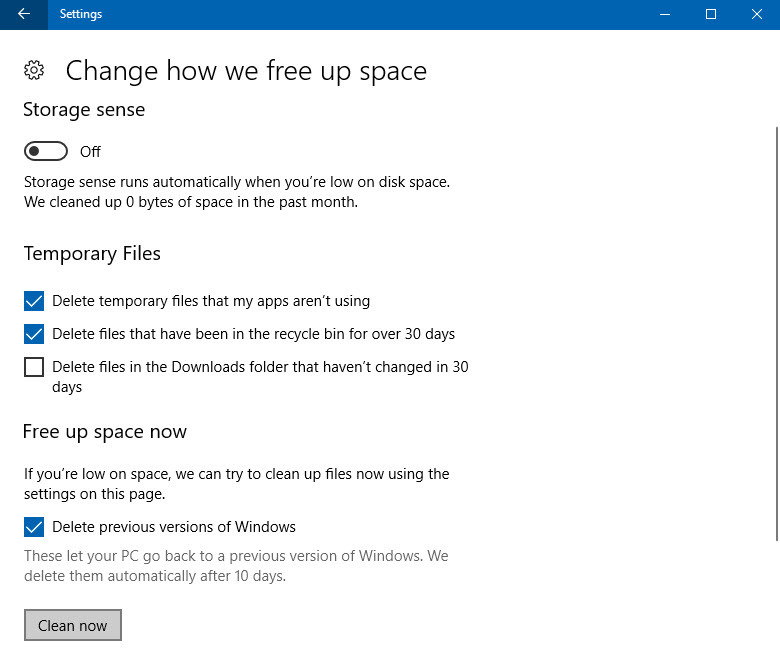 In the Storage sense settings page, as shown in the below screenshot, navigate to the Free up space now section and select the option that says Delete previous versions of Windows and click Clean now button. This will force the system to delete the backup files from the previous version of Windows. If you don't do this, Windows will still remove these automatically after 10 days from the date when you installed. This is to clean up the files which are not require any more as you have already settled your system with the new upgrade builds. In case you are not comfortable with the build, or you are facing any issues, this backup allows you to go back to the previous version within that stipulated time of 10 days. Hope that the post was useful. Did you already upgraded to the new build? If not, checkout the steps mentioned in this blog post to manually install Windows 10 Fall Creators Update. 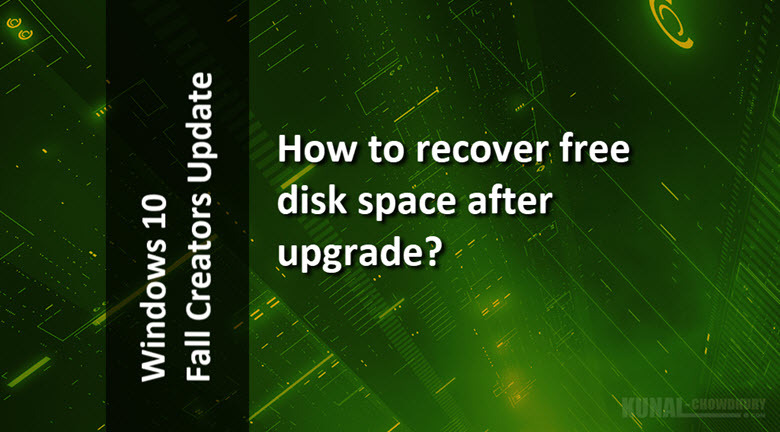 If you have come this far, it means that you liked what you are reading (How to recover free space after upgrading to Windows 10 Fall Creators Update? ).